We often get questions from clients who are new to property management about travel industry terminology. There’s a lot of jargon in this industry and it can be very confusing for the uninitiated! From travel meta search engines to OTAs and GDS, we’ll explain the difference and how you can use them in your distribution mix. What are Travel Meta Search Engines? Put simply travel meta search engines compile accommodation listings and room rates and display the aggregated results for travellers to compare but usually not to book, although this is beginning to change. When a consumer wants to book a room, the meta search engine redirects them to the booking site of their choice. That said, some meta search engines, like TripAdvisor and Google, are now beginning to display ‘instant booking’ buttons that do encourage the browser to book directly from the search results. Properties wanting to take advantage of the instant booking facility need to have a direct booking tool available on their website. Travel meta search engines offer your best chance to get in-front of those searching for accommodation in a specific location. 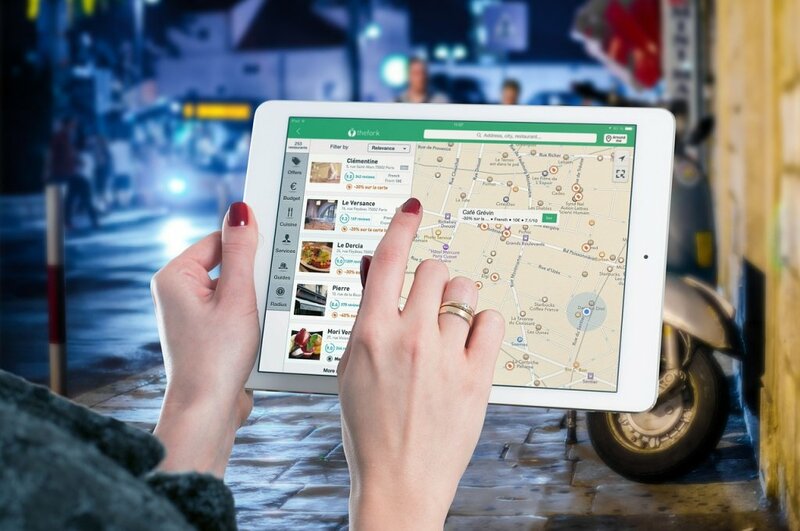 When travellers type in a destination online, Metasearch engines collate and display results for hotels in the area, aggregating results across the web including listings from online travel agents. As the primary objective is not to sell inventory but to collate and display a list of all available rooms and their rates, travel meta search engines usually do not charge commissions to property owners but charge the booking sites for clicks / visits sent directly to them on a pay per click basis. If bookings are made directly with the property from the meta search ‘instant booking’ button, the property does not pay anything unless it converts into a booking. The benefit of this from a property owners perspective is that you ‘own’ the guest right from the outset, rather than the OTA, so the cost could be viewed more as an advertising fee. OTA stands for Online Travel Agents and as the name implies, it is where travellers can book a whole range of travel services including accommodation, flights, travel packages, car rentals, tours and activities. Unlike travel meta search engines you can book directly on OTAs. OTA’s have large marketing budgets, so are a great way to get your property noticed by travellers locally and from all around the world. Accommodation owners allocate rooms / properties to individual OTAs for them to sell. While they may seem like an expensive proposition for smaller accommodation owners, they are an extremely valuable partner to help you sell your inventory. OTAs mainly work on a commission or cost-per-acquisition model and have become a pivotal player in the online distribution mix for property owners. And What Is A GDS? GDS stands for Global Distribution System. GDS channels provide travel agencies with real-time availability as well as preferred rates. They allow you to open your inventory to those booking their accommodation via travel agents, including those agencies that look after the corporate market, and confirm large volume bookings. And What About Private Letting Channels? Private Letting Channels are essentially a different type of OTA that’s more tailored to self-contained apartments/holiday home rentals, and cater for small single property operators to large groups. Some examples include Airbnb, Stayz, HomeAway, Flipkey, Travelling Frogs, Aura and Tripping. According to industry experts, these channels are expected to grow over the coming years, with the use of ‘sharing economy lodging services’ to increase by approximately 33% by the year 2020. Our recent blog ‘Private Lettings Channels: How To Reclaim Lost Revenue‘ has all the details. Ideally your channel manager software should enable you to connect with all these online distribution channels and update your property’s availability and rates in real time. You should be looking to maximise your booking revenue potential by connecting to the entire booking ecosystem. Investing in the right property management software (PMS) will ensure that you are able to gain exposure to the biggest travel meta search engines as well as the market-leading OTAs. At HiRUM we pride ourselves on being able to connect you with all the major travel meta search engines and OTAs as well as the leading GDS channels. Whatever your size and whatever your budget, we can help you find the right solution for your property. Give the team a call now on 07 5574 4990 for a free demonstration of our software.